This week’s show (July 16th), is “If You Can’t Beatle them, Join Them” as we crisscross geography and time and play songs that sound a lot like The Beatles…but they aren’t. It isn’t Meet The Beatles, it is Repeat The Beatles. 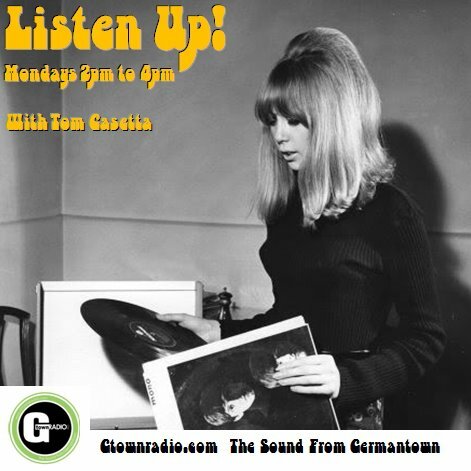 Thanks, Tom Casetta for playing my song “Wait Till I come Home” . I wrote and sang it with JADE over 40 years ago with the other 3 guys in the band. It was a magical recording experience, the year The Beatles split up in 1970. The album Faces of Jade was remastered at Abbey Road and reissued in 2008. Thanks for commenting. It is a pleasure to hear from you. The album has long been one of those great “lost gems” I love to share. I can say with much certainty that other tracks will find their way onto future shows. So, were you guys just local to Cincinnati. What was the scene like? Any other bands memories you care to share? They are more than welcome.